Blog Home | Care to Try a Slice? 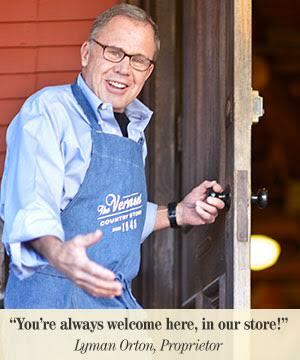 If you’ve been to visit The Vermont Country Store, you know that your time with us is about more than shopping — it’s an experience that you won’t find anywhere else! We don’t expect you to buy these unusual artisan foods on faith; that’s why we made a point of putting out samples for you to try. For a first-time visitor, it can be a bit overwhelming. 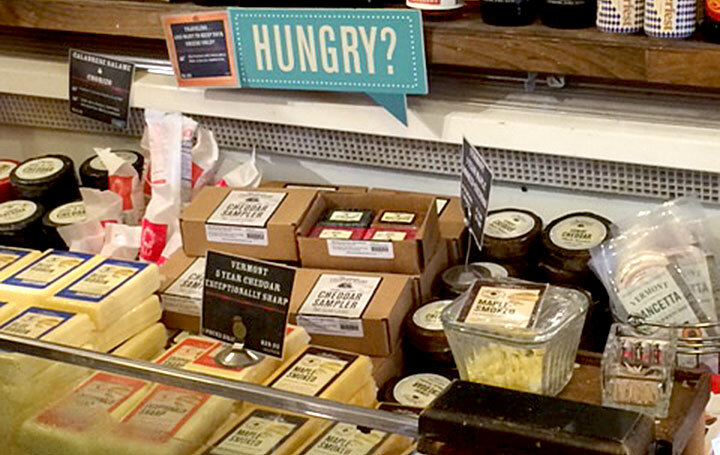 There are well over 15 different tasty foods to sample and savor as you wind your way around the store. We’re always opening a jar of something new. Some folks are a little unsure if it’s really OK to take a bite. We assure you it is. It’s not like sneaking grapes at the grocery store. We actually want you to like it before you buy it! So, I always encourage folks to take their time, go ahead and try a few different things. I think it’s the best way to get to know our food, find ones that you love and take home some to share with family and friends. Many of our visitors leave so full that they don’t have room for lunch, and most often with a few of their old and new favorites. The next time you come for a visit, be sure to save time for sampling. There’s always something new and it never gets old!